Syrian president Bashar Assad has stated that he is awaiting concrete indications that the US really wants to begin dialogue aimed at resolving the Syrian conflict, after Secretary of State John Kerry declared US readiness for such talks. “We are still listening to the comments, and we have to wait for the actions, and then we’ll decide,” Assad told Syrian television on Monday. He welcomed any change of stance that would stop “logistical, financial and military support to terrorists” from third parties. “Any international changes that come about within that framework are something positive, if they are honest and have an effect on the ground,” he said. 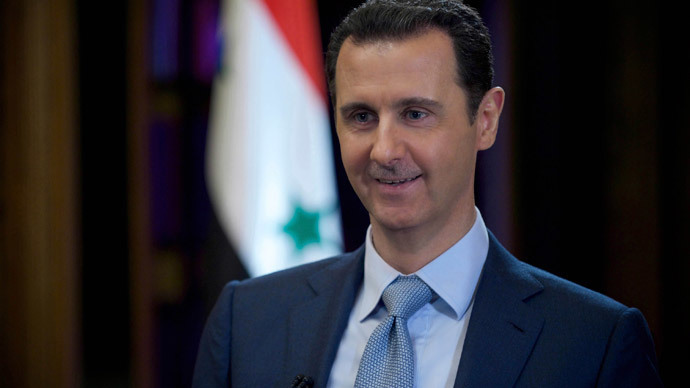 However, any talks “on the future of the Syrian president... [are] for the Syrian people and all the declarations from outside do not concern us,” Assad added. Political commentator Alaa Ibrahim told RT the Syrian government understood that on some level the West would have to negotiate with it but the question of the subject of the negotiations remains. 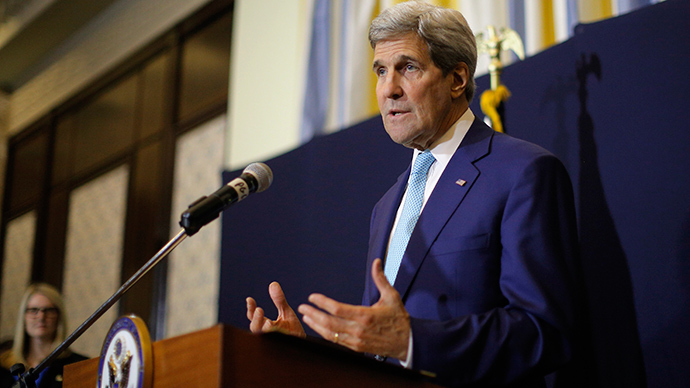 On Sunday, Secretary of State John Kerry told CBS that the US would have to negotiate with the Syrian government. The State Department though did not appear to support Kerry, with spokesperson Marie Harf saying on Monday there was “no future for a brutal dictator like Assad” in Syria and saying the idea of negotiations was not made in reference to to Assad. The US authorities have long been demanding Assad’s unconditional resignation claiming his power to be illegitimate. Since the beginning of the conflict, a large part of Syria has been overrun by the Islamic State (formerly ISIS). The group was reinforced by dozens of rebel factions, some of which had previously been supported by Western governments. But Washington, despite this turn of events, remains committed to sending more weapons to Syria arming what they call “moderate” militants who fight against Assad’s government. However, some specialists compare the potential situation in Syria with that of Libya after the ousting of Muammar Gaddafi, stating that it would be better to support Assad given the rise of the Islamic State and other militants. “It would get even worse in Syria if Assad was dropped, and I think many American leaders recognize that, but it’s still too early for Kerry and Obama to say outright that ‘we must – as the US – send envoys to talk to Assad’s government,” Jonathan Steele, columnist for the Guardian on International affairs, told RT. Last September, the US-led coalition started airstrikes in Syria as a part of a joint effort to battle ISIS militants in Iraq and parts of northern Syria. President Assad stressed many times that strikes are an illegal intervention as they were not authorized by a UN Security Council resolution and do not respect the sovereignty of Syria. Syria has hit the four-year war landmark and there seems to be no end in sight to people’s suffering, chaos and terror. An estimated 220,000 people have died since the beginning of the conflict and millions had to leave their homes. Four out of five civilians live below the poverty line. New satellite images of Syria show that over 80 per cent of the country's lights which were visible at night have gone out. Half of all children have not attended school over the past couple of years as about 4,600 of them were damaged or destroyed.